To head off the complaint of some last year respecting AALS programming of interest to specialists in international, comparative, and transnational law -- a complaint undercut in this 11-month-old post -- it's our pleasure to offer a list of all such events on the program of the 2010, annual meeting of the Association of American Law Schools, to be held January 6-10 in New Orleans. The list is complete as possible (note that some meal sessions require advance ticket purchases). The list reflects the exercise of 2 prerogatives: sessions sponsored by the Section on International Law, of which yours truly is Chair this year, are featured in pink, and all IntLawGrrls and guests/alumnae are featured by hypertext and photo. ► Meeting the Needs of Children During Times of Crisis: Hurricane Katrina and Beyond. Speakers: Kristi L. Bowman (Michigan State), Abigail English (Center for Adolescent Health & the Law, N.C.), Gerard F. Glynn (Barry), David R. Katner (Tulane), Charles Ogletree (Harvard), Anna W. Shavers (Nebraska). Moderator: Joan M. Shaughnessy (Washington and Lee). ► Re-Examining Customary International Law and the Federal Courts. Speakers: Curtis A. Bradley (Duke), Bradford R. Clark (George Washington), Sarah H. Cleveland (Columbia), Carlos M. Vázquez (Georgetown), Ingrid B. Wuerth (Vanderbilt). Moderator: Anthony J. Bellia Jr. (Notre Dame). ► AALS Committee on International Cooperation Luncheon. Speaker: José Miguel Insulza (Secretary General, Organization of American States). ► Teaching Law to Students from Other Countries. Speakers: Cary A. Bricker (Pacific McGeorge), Juliana V. Campagna (John Marshall), Leah M. Christensen (Thomas Jefferson), John Haberstroh (Northwestern), Elizabeth L. Inglehart (Northwestern), Brian K. Landsberg (Pacific McGeorge), Deborah B. McGregor (Indiana-Indianapolis), Mark E. Wojcik (John Marshall). ► Roundtable Discussion on Comparative Scholarship. Speakers: Daniel D. Bradlow (American), Joan M. Heminway (Tennessee), John C. Knechtle (Florida Coastal), Ronald J. Krotoszynski Jr. (Alabama), Clive Walker (Leeds, England), Russell L. Weaver (Louisville). Moderator: Linda D. Jellum (Mercer). ► International Cooperation to Create Opportunities for Students. Speakers: Adam Kolker (Georgetown), Bert Lazerow (San Diego), Sophie Robin Olivier (Paris X-Nanterre), Juan Enrique Vargas (Diego Portales, Chile), Hariolf Wenzler (Bucerius, Germany). Moderator: Claudio Grossman (American). ► Joint Breakfast of Sections on Africa, Comparative Law, Graduate Programs for Foreign Lawyers, International Human Rights, International Law, International Legal Exchange, and North American Cooperation. ► Section on National Security Law Breakfast: Dealing with a Resurgent Iran: Options & Strategies. Speaker: Afsheen John Radsan (William Mitchell). ► Food Security, the Financial Crisis, and International Regulation: Perspectives from Africa. Speakers: Waheeda Amien (Cape Town, South Africa), Daniel D. Bradlow (American), Erika George (Utah), Carmen G. Gonzalez (Seattle), IntLawGrrl guest/alumna Lisa R. Pruitt (California-Davis) (below right). Moderator: IntLawGrrl guestalumna Penelope Andrews (Valparaiso)(above left). ► Working on the Wild Side: Wildlife and Animal Law. Speakers: Taimie L. Bryant (UCLA), David S. Favre (Michigan State), Katherine Anne Meyer (Meyer Glitzenstein & Crystal, Washington, D.C.). Moderator: Rebecca J. Huss (Valparaiso). ► Tribal Nation Economics and Legal Infrastructure. Speakers: Helaman S. Hancock (Coeur D’Alene Tribe), Robert J. Miller (Lewis and Clark), Judith V. Royster (Tulsa). Moderator: Angelique A. EagleWoman (Idaho). ► Is Halakha Jewish Law? ► Reforming the Institutional Structure of Financial Regulation. Speakers & Commentators: Jose M. Gabilondo (Florida International), Anna Gelpern (American), Erik F. Gerding (New Mexico), Jeffrey N. Gordon (Columbia), Julie A. Hill (Houston), Daniel Schwarcz (Minnesota). ► Hard Sell: Job Search Strategies for Non U.S. LL.M. Graduates and for J.D. Graduates Wanting to Practice International Law in Local/Regional Job Markets. Speakers: Charles D. Cramton (Cornell), Valeria Elliott (Denver), Timothy M. Henderson (Holland & Hart, Denver), Clara Solomon (New York University). Moderator: Cynthia Adams, Indiana-Indianapolis). ► Barbarians at the Gate (or Within? ): New Developments in the Detention and Prosecution of Terrorist Suspects. Speakers: Baher Azmy (Seton Hall), Erwin Chemerinsky (California-Irvine), Robert M. Chesney (Texas), David D. Cole (Georgetown), IntLawGrrl guest/alumna Mary Ellen O’Connell (Notre Dame) (left), Stephen I. Vladeck (American). Moderator: Michael J. Kelly (Creighton). ► The Transformative Effect of International Initiatives on Lawyer Practice and Regulation: A Case Study Focusing on FATF and Its 2008 Lawyer Guidance. Speakers: James Thuo Gathii (Albany), Thomas D. Morgan (George Washington), Ellen S. Podgor (Stetson), Kevin L. Shepherd (Venable LL.P., Baltimore), Colin Tyre (Arnot Manderson Advocates, Scotland). Moderator: IntLawGrrl guest/alumna Laurel Terry (Pennsylvania State) (right). ► Transformative Scholarship - Presidential Program I. Speakers: Dana Berliner (Institute for Justice, Virginia), Richard A. Epstein (Chicago), Neal K. Katyal (Deputy U.S. Solicitor General), Charles Swift (Swift & McDonald, Seattle), Catharine A. MacKinnon (Michigan), Maria T. Vullo (Paul, Weiss LLP). Moderator: Robert C. Post (Yale). ► Empiricism and Transformations in International Law - Joint Program of Sections on International Law and Law and the Social Sciences. Speakers: Susan D. Franck (Washington and Lee; topic: international economic law), John Hagan (Northwestern; topic: genocide/international criminal law; Susan Block Lieb (Fordham; topic: international bankruptcy law), Gregory Shaffer (Minnesota; topic: World Trade Organization dispute settlement). Co-moderators: this IntLawGrrl, Diane Marie Amann (California-Davis; Chair, Section on International Law) and Katherine Barnes (Arizona; Chair, Section on Law and the Social Sciences). ► Food, Law and Values. Speakers: Bret C. Birdsong (Nevada-Las Vegas), Donna M. Byrne (William Mitchell), James Ming Chen (Louisville), Marne Coit (Coit Consulting, Arkansas), Neil D. Hamilton (Drake), Gregg W. Kettles (Mississippi), Guadalupe T. Luna (Northern Illinois), Margaret E. Sova McCabe (Franklin Pierce), Susan Schneider (Arkansas-Fayetteville), Stephanie Tai (Wisconsin), Thomas Wilson (Alabama A&M). ► Adjudication in Immigration Law: Concerns and Realities. Speakers: Mathilde Cohen (Columbia), Jill E. Family (Widener), Michael C. McGoings (Immigration Judge), IntLawGrrl Jaya Ramji-Nogales (Temple) (left). 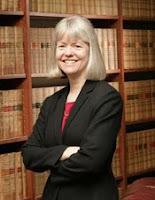 Moderator: Lenni Beth Benson (New York Law). ► Habeas Corpus in War and Peace in the 18th and 19th Centuries. Speakers: Paul Finkelman (Albany), Eric M. Freedman (Hofstra), William E. Nelson (New York University). Commentator: Robert J. Cottrol (George Washington). Moderator: John P. Reid (New York University). ► The New Anti Poverty Advocacy: Constructs, Strategies, and Tactics. Speakers: Bernadette D'Souza (Southeast Louisiana Legal Services Corp.), Ron Lospennato (Southern Poverty Law Center), Jennifer J. Rosenbaum (New Orleans Workers’ Center for Racial Justice), Saket Soni (New Orleans Workers’ Center for Racial Justice). Moderator and Discussant: William P. Quigley (Loyola-New Orleans). ► Remedies in Times of Economic Crisis and Financial Scandal. Speakers: John C. Coffee Jr.(Columbia), Lisa M. Fairfax (George Washington), Jack B. Jacobs (Justice, Supreme Court of Delaware), Andrew Kull (Boston University), Russell L. Weaver (Louisville). Moderator: Caprice L. Roberts (West Virginia). ► Climate Change and Legal Education: It’s Getting Hot in Here. Speakers: Maxine Burkett (Hawaii), Michael B. Gerrard (Columbia), Maxine I. Lipeles (Washington University), John C. Nagle (Notre Dame). Moderator: Douglas A. Kysar (Yale). ► New Voices in Human Rights Panel of the Section on Human Rights, chaired by IntLawGrrl Christiana Ochoa (below right). Speakers: Thomas M. Antkowiak (Seattle), Samuel P. Baumgartner (Akron), Robert C. Blitt (Tennessee), Jernej Letnar Cernic (European University Institute), Caroline Davidson (Willamette), IntLawGrrl Connie De La Vega (U. San Francisco) (above left), Gregory S. Gordon (North Dakota), Sital Kalantry (Cornell), Lillian Aponte Miranda (Florida International), David Pimentel (Florida Coastal). ► Beyond Theory, Beneath the State: Islamic Legal Counseling, Mediation and Arbitration. Speakers: Michael Jay Broyde (Emory University), Yusuf Talal DeLorenzo (Shariah Capital Inc., Connecticut), Talal Y. Eid (Islamic Institute of Boston), Anver Emon (Toronto). Moderator: Sadiq Reza (New York Law). ► A New Look at Old Age: Cross-Disciplinary Perspectives on Law and Aging. Speakers: A.K. Dayton (William Mitchell), Rebecca Dresser (Washington University), Leslie P. Francis (Utah), Nina A. Kohn (Syracuse), Fusako Seki (Yokohama National University, Japan). ►The Future of OSHA Reform. Speakers: Susan Bisom-Rapp (Thomas Jefferson), Jarod S. Gonzalez (Texas Tech), John Howard (Centers for Disease Control), Jayesh Rathod (American). Moderator: Paul M. Secunda (Marquette). Speakers: this IntLawGrrl, Diane Marie Amann (California-Davis) (below right), Julian G. Ku (Hofstra), Sanford Levinson (Texas), Nathan A. Sales (George Mason). Moderator: Michael William Lewis (Ohio Northern). ►Climate Change and Adaptation in a Federal System. Speakers: Vicki Arroyo (Georgetown), Robin K. Craig (Florida State), Daniel A. Farber (California-Berkeley), Victor B. Flatt (North Carolina). Moderator: Alejandro E. Camacho (Notre Dame). ►The Future of Summary Judgment (Iqbal Case). Speakers: Edward J. Brunet (Lewis and Clark), Stephen B. Burbank (Pennsylvania), Linda S. Mullenix (Texas), Adam N. Steinman (Cincinnati), Suja A. Thomas (Illinois). Moderator: Ronald G. Aronovsky (Southwestern). ►Transforming National Security Law: Comparative Perspectives. Speakers: Robert M. Chesney (Texas), Jacques de Lisle (Pennsylvania), Russell A. Miller (Washington & Lee), Kim Lane Scheppele (Pennsylvania), Thomas Kwasi Tieku (Toronto). Moderator: Michael J. Kelly (Creighton). ►Law and Anthropology: The Intersection of Law, Culture and Religion. Speakers: Rebecca R. French (Buffalo), Frank S. Ravitch (Michigan State), Melissa L. Tatum (Arizona). Moderator: Elizabeth A. Kronk, University of Montana). ► Black Leadership in the Wake of the Obama Election. Speakers: Randall L. Kennedy (Harvard), Heinz J. Klug (Wisconsin), Sylvia Lazos (Nevada-Las Vegas), Terry Smith (DePaul). Moderator: Guy Uriel E. Charles, Duke). ►LL.M.s and J.D.s Together: Synergies and Problems. Speakers: Kevin L. Cole (San Diego), Dorsey D. Ellis Jr. (Washington University), Diane L. Fahey (New York Law), Jennifer Kowal (Loyola), G. Ray Warner (St. John’s). Moderator: Michael B. Lang (Chapman). ► Law, Economics and Catastrophes. Speakers: Michelle E. Boardman (George Mason), Katherine M. Porter (Iowa). Moderator: Margaret Friedlander Brinig (Notre Dame). ► Analysis of the Legal Education Systems Among NAFTA Countries Section on North American Cooperation. Speakers: Bruce P. Elman (Windsor, Canada), Luis Fernando Pérez Hurtado (Monterrey, Mexico), Mark E. Wojcik (John Marshall). Moderator: Josè Roble Flores Fernandez (Monterrey, Mexico). ► Biolaw: Biology Invading and Transforming The Law. Speakers: June Rose Carbone (Missouri-Kansas City), James Ming Chen (Louisville), Oliver R. Goodenough (Vermont), Michele Goodwin (Minnesota), Christopher M. Holman (Missouri-Kansas City), Jonathan Kahn (Hamline), Eileen M. Kane (Pennsylvania State), Radhika Rao (California-Hastings), Andrew W. Torrance (Kansas). Section on Co-Sponsored by the Sections on International Law, International Human Rights Law, and National Security Law. Paper Presenters: IntLawGrrls guest/alumna Cindy Galway Buys (Southern Illinois, left; paper: “The Untold Story of Nottebohm and the U.S.-Latin American Detention Program and Its Lessons for Today”), Eugene Kontorovich (Northwestern; paper: “‘A Guantánamo on the Sea’: The Difficulties of Fighting and Prosecuting Pirates and Terrorists”), Michael P. Malloy (Pacific McGeorge; paper: “Caught in the Cross-Currents: International Economic Sanctions in Contemporary Practice”), Milena Sterio (Cleveland-Marshall; paper: “The Modern-Day Right to Intervene Under International Law”). Moderator: this IntLawGrrl, Diane Marie Amann (California-Davis; Chair, Section on International Law). Discussants: Erika George (Utah), IntLawGrrl Stephanie Farrior (Vermont) (right), Linda A. Malone (William and Mary), Peter S. Margulies (Roger Williams), William B.T. Mock Jr. (John Marshall), IntLawGrrl Hari M. Osofsky (Washington and Lee) (right), IntLawGrrl Jaya Ramji-Nogales (Temple), Gregory C. Shaffer (Minnesota), John Cary Sims (Pacific McGeorge), and Scott Sullivan (Louisiana State). Speakers: Robert Force (Tulane), Andrew Kent (Fordham), Garrick B. Pursley (Texas). Moderator: Joseph W. Dellapenna (Villanova). ► The Financial Collapse and Recovery Effort: What Does It Mean For Corporate Governance? Speakers: Stephen M. Bainbridge (UCLA), Alan L. Beller (Cleary, Gottlieb LLP), Jeffrey N. Gordon (Columbia), Renee M. Jones (Boston College), Hillary A. Sale (Washington University), Teresa Tritch (New York Times Magazine). Moderator: Lisa M. Fairfax (George Washington). ► The Role of Law Schools and Law School Leadership in a Changing World. Speakers: Michael Coper (Australian National University), Claudio Grossman (American), Aalt Willem Heringa (Maastricht, the Netherlands), Chuma C. Himonga (Cape Town, South Africa), Carl C. Monk (Washburn), Elizabeth R. Parker (Pacific McGeorge), Mónica Pinto (Universidad de Buenos Aires, Argentina), Cheng Han Tan (National University of Singapore), Francis SL Wang (Kenneth Wang School of Law, China). Moderator: Louis F. Del Duca (Pennsylvania State). Speakers: Zachary R. Calo (Valparaiso), Peter G. Danchin (Maryland), W. Cole Durham Jr. (Brigham Young), Carolyn Evans (Melbourne, Australia), Malcolm Evans (Bristol, England), Gerhard Robbers (Trier, Germany). Moderator: Brett Gilbert Scharffs (Brigham Young). My regrets for the late notice about this, but here are some additional details for the session on Law and South Asia (Sat Jan 9, 3:30-5:15pm). The session will consist of (1) a panel on contemporary issues in constitutional law and fundamental rights in South Asia (the papers from which will be published in the Drexel Law Review as part of its Symposium on Law and South Asia) and (2) a short business meeting on the formation of the proposed AALS Section on Law and South Asian Studies.